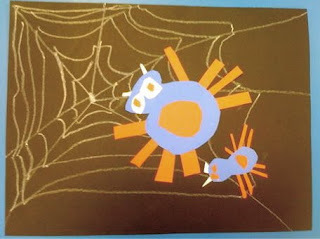 Then, I let them have-at the scrap bin, and taught them how to create some spiders. They then added them to their little webs. This was again, another fun one-day take home project for the Halloween season.